Ahhh, July 4th… BBQ, fireworks, fun in the sun, and most importantly, a day off of work :). In honor of Independence Day, I thought I’d focus on an outdoor space and keep things festive with a red, white and blue color scheme. 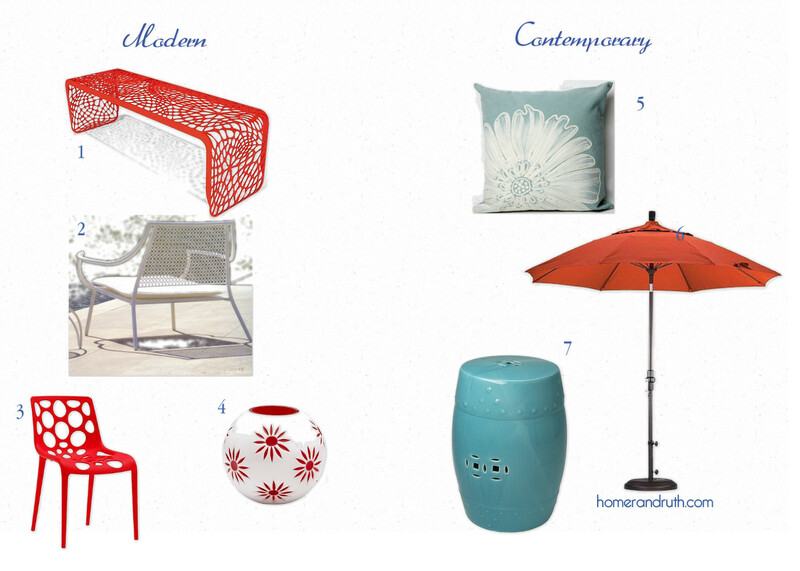 I’m not one to embrace the ‘Yankee Doodle’ literal interpretation, so here’s my take on the patriotic patio. 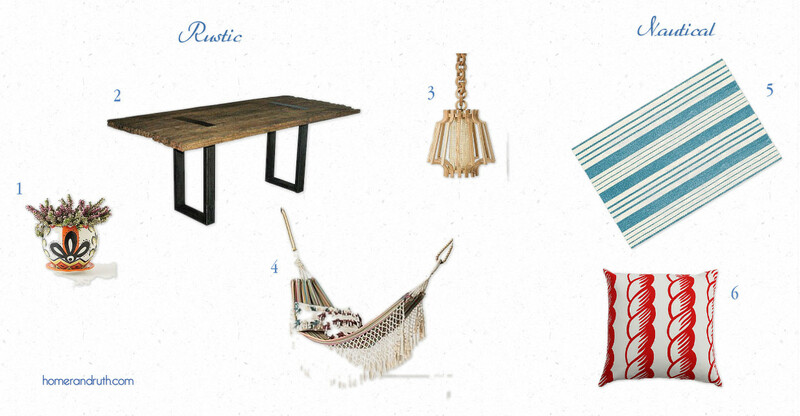 First I brought in rustic and nautical elements. The rustic items play off of the existing horizontal wooden panels and preserve the natural feel of the outdoor space. The nautical pieces hint toward the waters that lie beyond the infinity pool. Next I brought in modern and contemporary touches both of which add pops of color. The modern elements follow the architectural details of the home, while the contemporary elements tie everything together creating a cohesive and functional space. So, that’s my take on the patriotic patio. Cheers to mixing design styles to create a one-of-a-kind space, and showing patriotism all summer long.